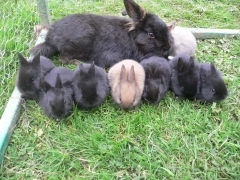 Do you ever considering to share your rabbits photos to rabbit community on the net? 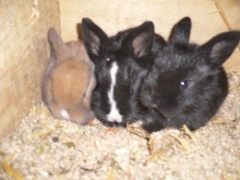 Do you have a pet rabbit or have had some rabbits before? 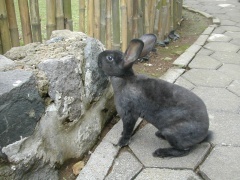 Give your rabbits a chance to be a rabbit “super star” like the ones showing off in this page. 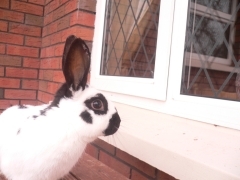 Submit your rabbit photos here. 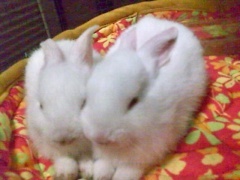 Meet my two adorable baby rabbits. My boyfriend and I named them Chloe and Chinney. They are now 1 month old and thank God they are healthy and sooo pretty. Love them both! 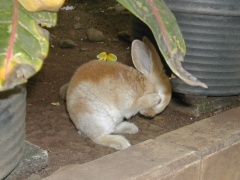 Cebu City, Philippines This is a lovely rabbit that is a couple of months old. 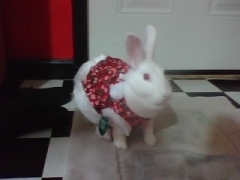 Her name is Buttons. 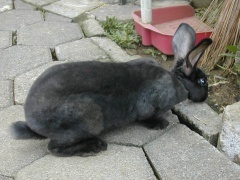 We think that her mother bit her ear off when she was a baby (poor rabbit). 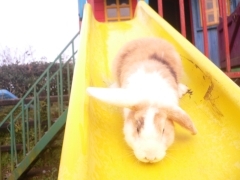 Snitch is her father if look at the picture with the rabbit going down the slide u will see him. 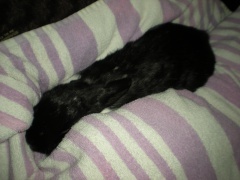 Unfortunately he died a couple of days after buttons was born. He died from a disease. 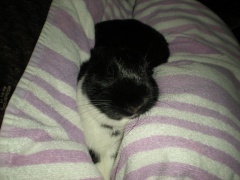 Oreo is the nicest bunny. He sleeps with me, he drinks out of a plastic cup and he loves candy. The only problem is that I don't know what kind he is!!! Pittsburgh, USA He is sleeping like usual. he doesn't act like a rabbit, he acts like a dog!!! 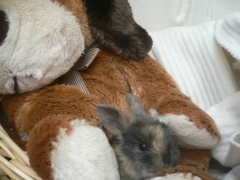 Cavan, Ireland nice and cuddley.. really nice and cuddley MY TEDDY.. just my TEDDY... phew everyone gone teddy all better now. Waiting for Christmas this year??? Are you ready??? 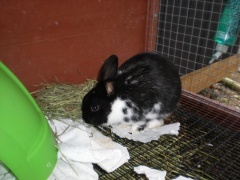 Bugsy, 1 year old New Zealand rabbit. Stokesdale, USA “woooooooooo hooooooooooooooooooo i looove these slidesss”, floppy eared rabbit. 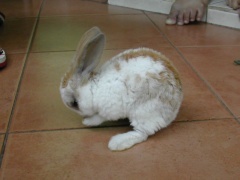 Is this a rabbit or a dog? 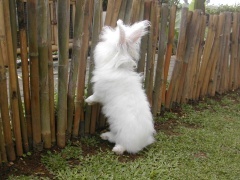 I bet this is an English Angora rabbit stands on his back-feet. 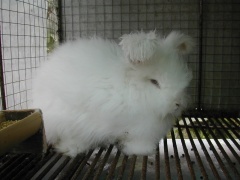 I know it because I who shot this photo :) Do you think this English Angora buck is like a sheep? If his body is rounder and his nose is longer possibly you think so. 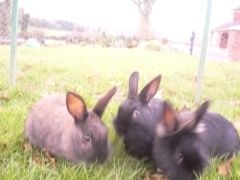 Do you have some rabbits photos to share? 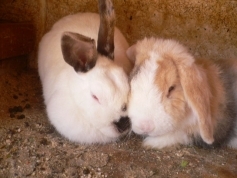 Submit your rabbits photos here.